China Q2 visa is designed for Chinese descendants or foreigners who are spouses of Chinese citizens. Issued to those with the intention to visit their relatives who are Chinese citizens residing in China or foreigners with permanent residence status in China. It is usually issued for up to 120 days stay per visit and multiple entry valid up to 10 years for US passport holder, while it is usually issued up to 90 days stay per visit but only for single or double entry valid for 3 or 6 months for non-US passport holder. 10 years visa is not guaranteed. Chinese Consulate may issue you a visa with limited entry, shorter duration and validity at their discretion. In order to apply for China Q2 Visa, please prepare and send in your application according to the detail requirement explained below. 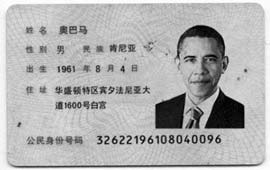 Photocopy of inviting person's Chinese Identity card's (Shenfengzhen) both sides. Invitation letter should be signed by the inviter and can be submitted as a photocopy by scan & email or fax in most cases. However, original invitation might be requested at visa officer's discretion. If you are married to a Chinese spouse and visiting her/his family, please include a photocopy of the marriage certificate and spouse's Chinese Identity Card. If you are visiting other family member, proof of kinship is usually not required. However, Chinese Consulate may ask you to provide it at their discretion. If that happens, we will let you know. Applicants of age 18 and under need to provide a photocopy of their birth certificate and both parents' passport name page. One of the parents must sign the application form using parent's name in both section 4 and 5. Minor applicant may be required to provide a notarized letter of consent from the parent, if that parent is not applying for the visa at the same time.